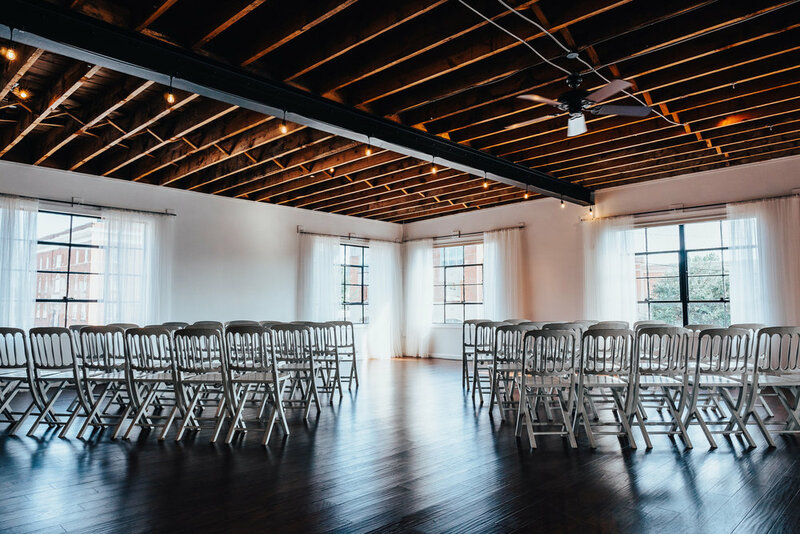 Our two-story indoor venue boasts two spacious yet intimate spaces specifically designed to accommodate the ceremony in one space and the reception in the other. We offer full event coordination, a versatile network of vendors, and exceptional service so that planning your big day is stress free. Accented with exposed brick, large windows, and elegant modern touches, this diamond in the rough is a modern and edgy space set in the foothills of the Blue Ridge Mountains. The Refinery has everything that you might need, without the traditional look of a banquet hall. We specialize in creating a one-of-a-kind, intimate event that you will remember forever. From catering and flowers, to music and staffing, we work hand-in-hand with you to plan and coordinate each piece of your event puzzle. On the day of, we take lead so you can relax and enjoy your guests, who are the ones that truly make the party memorable. Please fill out this form and we will be in touch as soon as possible!